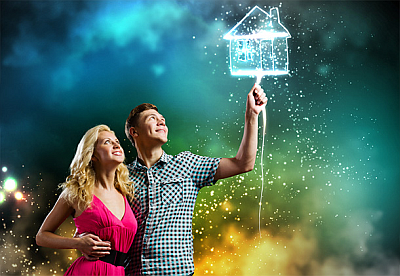 You’ve found the house of your dreams, and you can already imagine yourself living there. You even have plans in your mind for how you will decorate the space. Now, all you have to do is convince the seller to accept your offer over the others they are bound to receive. Crafting a strong offer will put you ahead of the competition and make the seller say “yes” to you. But what does a strong offer look like? These five tips will help you begin the next step of your journey to your new home. Numerous contracts fall through because the buyer couldn’t get financing. All other things being equal, a seller will choose an offer from a buyer who has been pre-approved over someone who is only pre-qualified. Being pre-qualified means you provided some basic information to the lender and they determined you qualify for a specific amount based on what you told them. Pre-approval takes it a step further and the lender checks your credit, verifies your income, and has other pertinent information about you already in the file. While it’s still not a guarantee you’ll get the loan, you are in a much better position when you make an offer. The strongest offer doesn’t require a major concession on the asking price. If you feel the home is worth it and will appraise for the list price, don’t ask for a lower one. If another offer comes in at full price and yours is below that, you’ll most likely miss out. If you do choose to negotiate price, you want to keep it at a minimal change. Make sure you have data to back your request. Perhaps the home down the street just sold for a lower price, and it has more square footage or updates than the one you’re putting an offer for. Just realize you’re taking a risk when you ask for anything below the seller’s list price and you may not get a second chance. Sellers like offers that are short and sweet. No contingencies and no special requests. With that in mind, you also want to protect yourself since buying a home is a major investment. You’ll most likely have a contingency based on the home inspection, but you won’t need a financial contingency if you’ve already been pre-approved. The more you ask for, the less likely the seller is going to want to accommodate you if they can find other buyers. One of the biggest bonus items for sellers is a flexible closing date, especially if they’re trying to buy a house at the same time. If they sense you have flexibility with your schedule, it can give them the breathing room they need. In fact, they may even accept a lower-priced offer with a flexible closing date over one with a rigid schedule at the listing price. A shorter closing date is also beneficial to some sellers. When you’re pre-approved, you have the option of a faster process. This can help a seller who is already purchasing a home or moving out of state after the sale. If both of you are working with a real estate agent, you may never meet the seller face-to-face. However, you can let them get to know you through a letter of introduction. This tip is one that many buyers aren’t aware of and will help you stand out in a sea of multiple offers. Introduce yourself and your family to the seller in a letter which will accompany your offer. Tell them something about yourself and why you are moving. Explain to them what you love about the home or the neighborhood. Appeal to their hearts and you increase your chance of having your offer selected. Remember that selling a home is just as much an emotional decision as buying one, and many sellers like knowing the buyers are as much in love with the property as they are. While these tips won’t guarantee you’ll walk away with a contract, they do increase your chances by allowing you to present the strongest offer possible. Spend time thinking about your offer and what you want it to say before you submit it to the seller, and you just might be on your way to becoming a homeowner.